On New Year’s Day I received a call from a journalist at Israel’s Ma’ariv Magazine. The interview was folded into a feature on shopdropping. 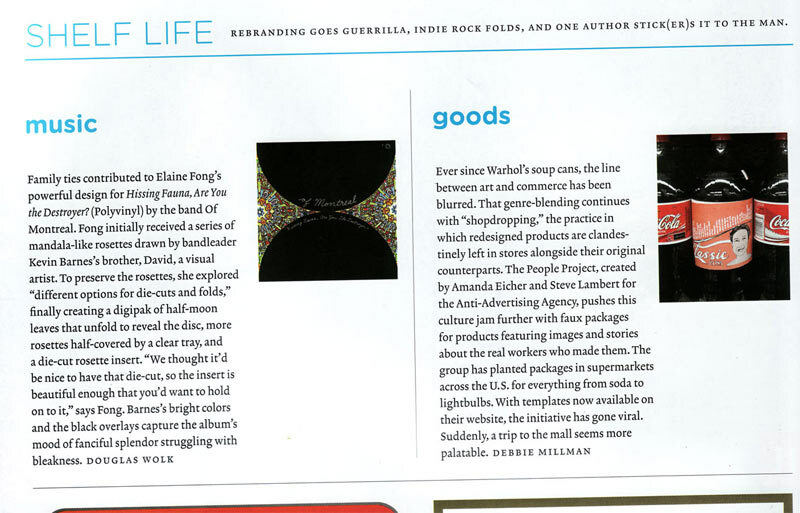 The piece discusses the Anti-Advertising Agency‘s shopdropping workshops from early 2007 and the People Products 123 project with Amanda Eicher. 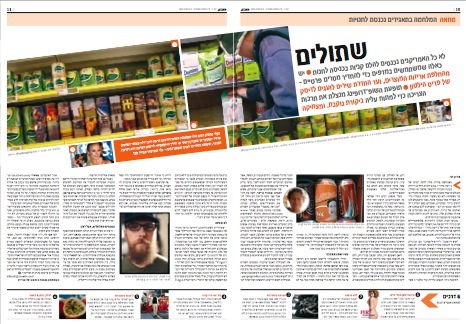 if you can read hebrew, check out the 2 page spread. 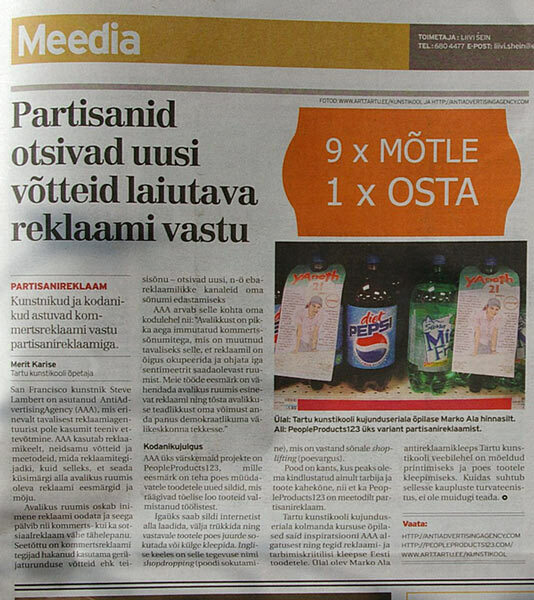 In late August the Estonian national newspaper, Ekspress, published an interview with me about advertising and public space. 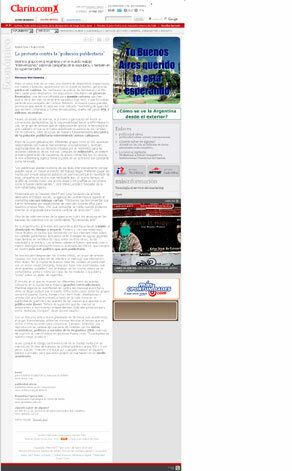 Merit Karise, the interviewer, has supplied an English version below. As a result of this interview Merit was invited to give a “presentation about alcohol advertising and youth at a roundtable that took place in our Parliament on Oct 9th, and where MPs, the representative of our President and rep. of Chancellor of Justice took part.” Since then there has been talk about bringing her to the Economic Affairs Committee of Parliament where legal changes in alcohol advertising regulation can be made. 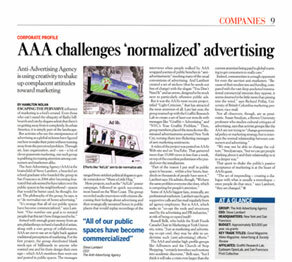 By the way, the article references my personal work outside the Anti-Advertising Agency, viewable on visitsteve.com, and an interview I did with Rob Walker for Murketing’s Q&A section. You don’t paint on canvas and you don’t show two flickering TV screens facing each other in an empty gallery. Your gallery is the public space of cities and often you don’t give any sign to your viewer that it is art that she/he is seeing. Why is that? I think there’s 2 reasons for that. Argentinian newspaper. direct link to article. direct link to article (knowing French would help). 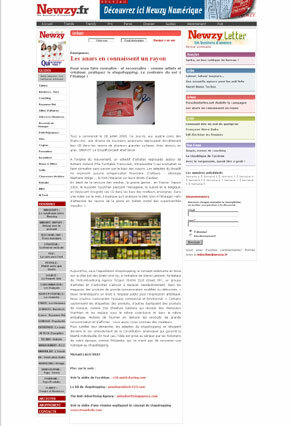 French newspaper writing about PeopleProducts123 and shopdropping workshops. 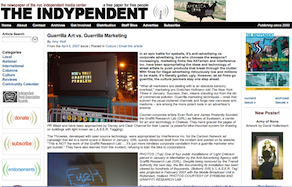 Review of Packard Jennings show at Catherine Clark Gallery, including the AAA Bus Bench Project. 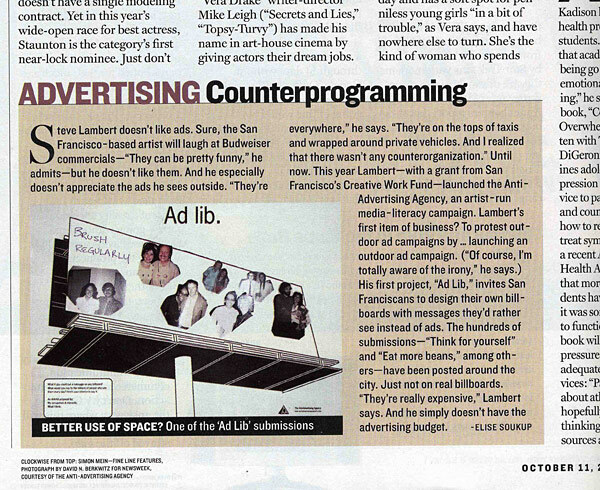 David Kaplan of MediaPost has written a feature on the Anti-Advertising Agency in a story called “Anti-Advertising Antidote”. 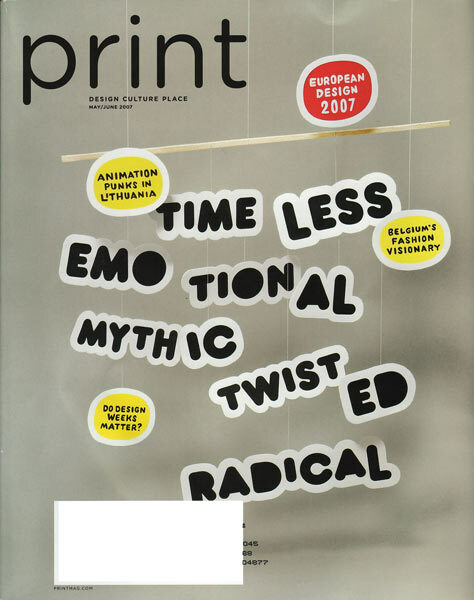 The Reel, an international media magazine based in England has a story in their October 2004 issue on the Anti-Advertising Agency called “The Sky’s Off Limits”. Jessica Greenwood interviewed AAA founder Steve Lambert and designer Adam Connelly. Steve Lambert did an interview for Neighborhood Public Radio‘s The Visible Hand. Download an mp3 of the interview.